Best care for your cat! 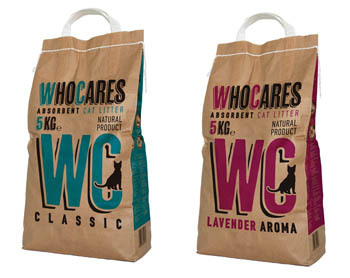 WHO CARES® is a natural clay cat litter that has both classic lightweight and clumping varieties. An intelligent choice for your cat’s litter box with superior liquid and odour absorption qualities, that is now available in new refreshed packaging. WHO CARES® Classic lightweight has supreme liquid absorption capacity and unique odour control properties. WHO CARES® Classic is also available with Lavender aroma for extra freshness. 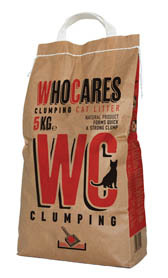 WHO CARES® Clumping forms quick and strong clumps. Its quality combined with its very high liquid absorption capacity make it ideal for in-house use. No more CARES about your cat’s hygiene! WHO CARES® cat litter series comes in 5kg and 10kg bags, offering fresh, reliable and caring cat litter solutions.